The pie market is a competitive and lively market at present. 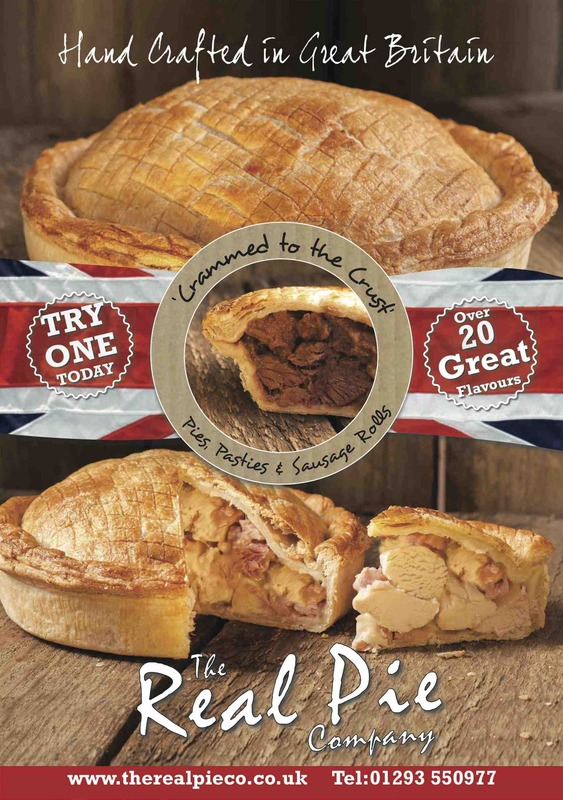 DJH have rebranded The Real Pie Company, positioning it as artisan, hand made and premium. Real Pies are literally “crammed to the crust”. 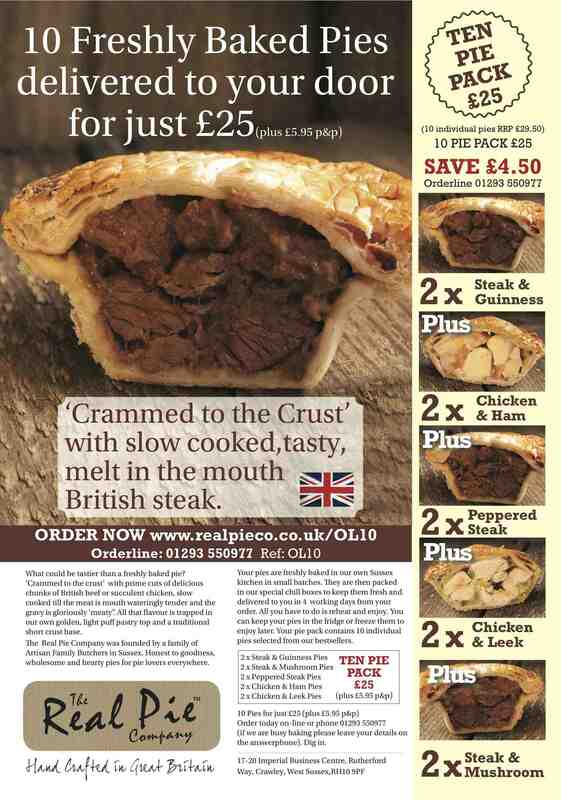 And that is what the branding has homed in on – mouth watering shots of the cut pie with its meaty filling. Now we are using that positioning and imagery to sell off the page. The carefully crafted advertising is visually striking and has a good, clear offer. The advertising is driving online sales and capturing email addresses for future marketing. The branding has been extended to leaflets, retail support, website and emails. 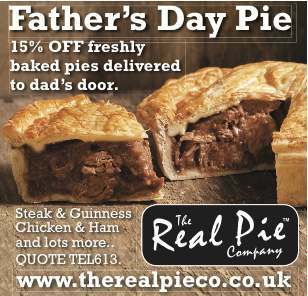 Creative offers for Father’s day and the Pie Revolution take advantage of the email marketing option. Smaller spaces are also being used. Like in the Telegraph under its Pint to Pint article to give relevance and impact even with a simple small space advertisement. See the example below. The space is effective and efficient, generating direct response from a relevant audience.